House on 3 floors in the historic center of Levico Terme, sleeps up to 8 adults. Warm, spacious and welcoming, it will be a convenient starting point for your family and friends trips throughout Trentino: the lakes of Levico and Caldonazzo, the mountains of Val di Fassa, the plants of Folgaria and Lavarone, Panarotta and The Paganella, the walks in Val dei Mocheni and the Lagorai, the festivals and events around, the center of Levico with its pedestrian promenade, shops and spas. Every moment of the year is beautiful in Trentino! Couldn’t have asked for a better place to stay in central location. Beautiful views, clean and modern. Excellent location. City center. Near the large parking. Well-kept clean apartment with a fresh renovation. Place is really nice with modern kitchen and nice balcony. Beds are good. Parking only 100 meters from the apartment and supermarket and shops also. 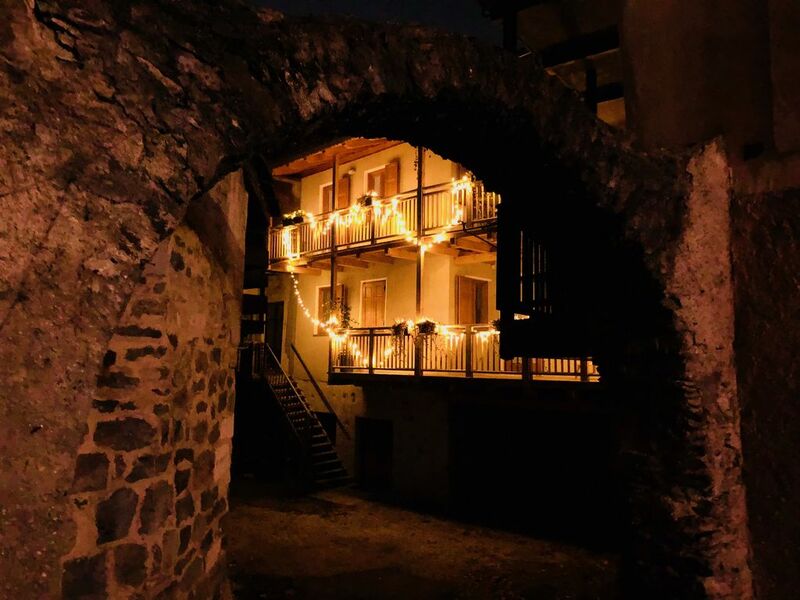 In the summer there is twice a week live music in the centre of Levico but it stops at 11 pm. During our holiday it was hot so we opened all the windows during de night and closed it in the morning and when you do that the house stays really cool inside. We had a great holiday in this apartment. Hope to make it next year again! Al Garibaldi is very close to the lake of Levico Terme and Caldonazzo and also close to some ski areas like Panarotta, Folgaria and Laverne.